The Boston Common is a beautiful Amish made quilt. 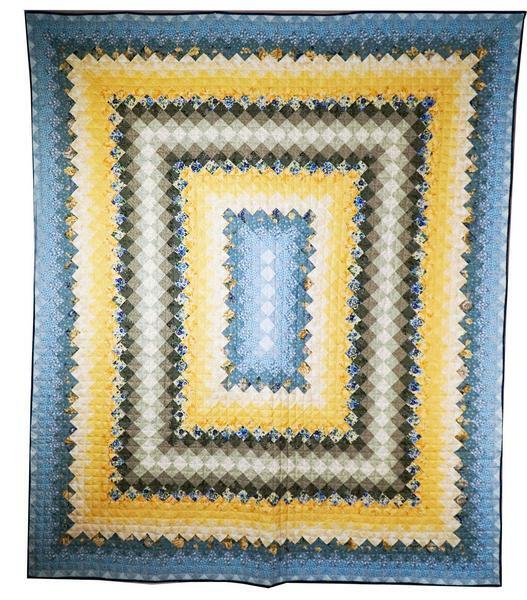 This quilt is shown in yellow, blue and green. The diamond shaped pieces and the contrast of fabrics in floral and leaf designs are reminiscent of the rows of a flower garden. It creates a bright and sunny bedroom any time of year. This quilt is of superior quality with about 7 stitches per inch. Call us today at 866-272-6773 if you have any questions or concerns about this Amish made quilt! Size: 100" x 116 ½"